On Nov. 26, House Republicans released a 297-page tax bill they hope to advance during the lame-duck session of Congress. The legislation would revive a number of expired tax provisions known as “extenders,” ranging from tax breaks for fuel cell cars, energy efficient homes, race horses, mine safety equipment, auto race tracks and other items. Further, it addresses glitches in the Tax Cuts and Jobs Act, as well as retirement savings plans such as 401(k)s and individual retirement accounts (IRAs). 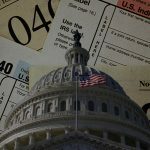 Other parts of the bill would revamp the Internal Revenue Service (IRS), provide new tax breaks for start-up businesses and offer assistance to disaster victims. According to House Ways and Means Committee Chairman Kevin Brady (R-Texas) some provisions in the bill have bipartisan support, but it remains to be seen whether Senate Democrats will support the measure. The package would need 60 votes to pass the Senate, meaning that some Democratic senators would need to back it for it to become law. One portion of the bill extends tax breaks that expired at the end of 2017. These provisions are typically renewed by Congress every year or two. The bill would make permanent a tax credit related to railroad track maintenance, phase out tax breaks for biodiesel and renewable diesel and extend a number of other expired tax provisions through the end of 2018 — including tax breaks that benefit the renewable energy, horse racing and motorsports industries. Another part of the bill focuses on tax relief for victims of Hurricane Florence, Hurricane Michael, California wildfires and storms and volcanoes in the Pacific. Congress often passes legislation with disaster tax relief provisions toward the end of the year, following major storms and other disasters. The bill also includes some provisions that were part of House Republicans’ “tax reform 2.0” package that the House approved in September, including provisions aimed at facilitating retirement savings and business innovation. It does not, however, include some of the parts of the package that Democrats found most objectionable — such as those to make the individual tax cuts in the Republican’s 2017 tax law permanent or to create universal savings accounts. The measure also addresses some glitches in last year’s tax law rewrite, including ones related to Real Estate Investment Trust dividends and to certain residential rental projects. Additionally, the bill includes provisions aimed at modernizing the IRS that the House passed on a bipartisan basis in April, including provisions aimed at improving the agency’s customer service and information technology. The House Rules Committee is scheduled to hold a meeting on the legislation on Nov. 28, and there is a possibility that the package could receive a vote on the House floor as soon as later this week. Yet, House Republicans did not release a detailed summary of the plan, nor an official estimate of how much the package would cost.